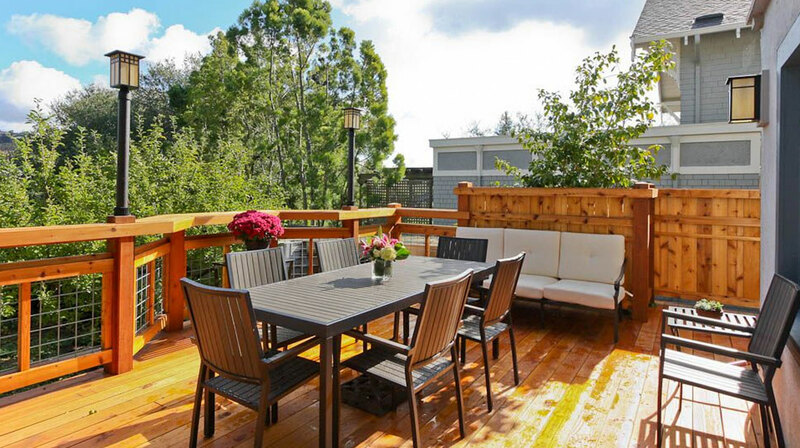 This dramatic Piedmont deck was built for a client who loved to entertain outside on warm summer evenings. They decided that as long as they were going to build a new deck, they wanted one that could accommodate their large, extended family of 20+ people. The old deck had become rickety and dangerous. The new one needed to blend in with the house and preserve an existing lemon tree. Because the deck and stairs represent part of the home’s emergency exit system, the Fire Department required that the deck be made of slow-burning Douglas Fir rather than Trex, the popular deck material that melts in fires, which would eliminate the deck and stairs as an escape route. Structurally elaborate with an imposing staircase to the yard below, the new staircase is deceptively complex. It has a five-sided landing, and, unlike most stairways, no piece is exactly the same; rather, each had to be custom cut and fitted. The upper posts and railings are made of cedar, with galvanized steel-wire fencing to prevent anyone’s falling through the railing. The light fixtures were carefully selected to coordinate with those on the outside of the house. 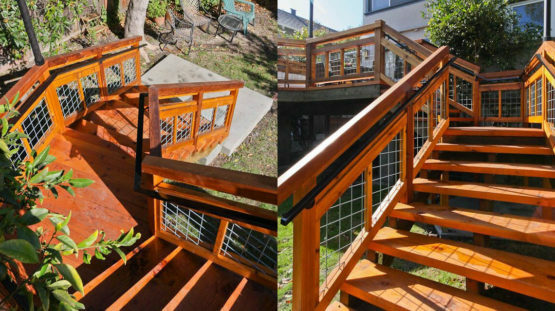 The owners’ primary goal was to build a deck that was large and functional, but the new deck and staircase turned out to also be a dramatic structure on which their guests invariably comment. W.A. 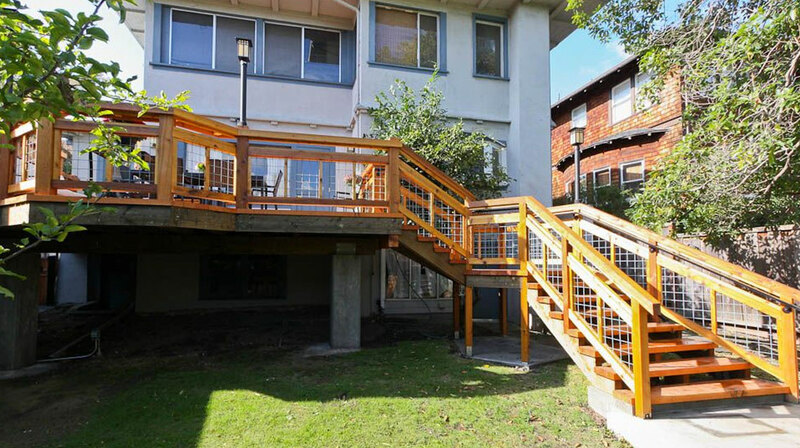 Rose Construction is a Bay Area general contractor with more than 80 years of experience serving the Bay Area. We have expertise in commercial, nonprofit, public works and residential sectors. W.A. 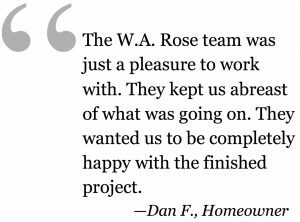 Rose specializes in tenant improvement projects, school renovations, structural upgrades and home-remodeling projects. Proud to be named to the San Francisco Business Times' list of the 100 Fastest Growing Private Companies 2018. ©2016 W.A. Rose Construction, Inc. All rights reserved.